Concrete floor, insulated metal building, 12 x 14 drive in door. 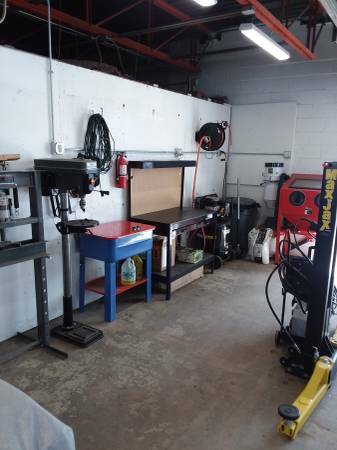 A slot is plenty of room to work on and around your car/bike and have your tools and work bench right there! !